Wely, Solution Architect (Azure MVP) - NCS (P) Ltd.
K.Mohamed Faizal, Lead Consultant - NCS (P) Ltd. In this session, you will learn the persistence storage services offered by Windows Azure, called Windows Azure Storage. Windows Azure Storage consists of Tables for storing tabular data, Blobs for storing large binary data, and Queue for asynchronous processing. Please RSVP to confirm your registration and attendance by 25 Jan 2011. ( kmdfaizal@gmail.com ) No email response will be sent for your registration. I am happy that we are one of the early group tried and given feedback on these HOL. This series of Hands-On Labs is related to the guide "Moving Applications to the Cloud on the Microsoft Windows Azure™ Platform" available from http://msdn.microsoft.com/en-us/library/ff728592.aspx. This series of Hands-On Labs is related to the guide "Developing Applications for the Cloud on the Microsoft Windows Azure™ Platform" available from http://msdn.microsoft.com/en-us/library/ff966499.aspx. The individual labs correlate with the chapters of the guide, and demonstrate or expand upon the techniques shown in the guide. The Labs are designed to enhance your understanding of the Windows Azure platform through practical, hands-on work with the complete, sample Surveys application developed by the fictitious Tailspin company. The Windows Azure Jump Start video series is for all architects and developers interested in designing, developing and delivering cloud-based applications leveraging the Windows Azure Platform. The overall target of this course is to help development teams make the right decisions with regard to cloud technology, the Azure environment and application lifecycle, Storage options, Diagnostics, Security and Scalability. The course is based on the Windows Azure Platform Training Course and taught by Microsoft Press authors, Manu Cohen-Yashur and David S. Platt. 1.) Word Automation service can convert Password protected file ? 2.) Document that contain Review with comments can covert as PDF? Cory Fowler posted wonderful post on Windows Azure resources which provide links to Windows Azure related Blogger, Twitter which you can subscribe or follow them to learn more about Windows Azure, Cory Fowler also provided the links to Videos, Books and code examples. Please RSVP to confirm your registration and attendance by 12 Jan 2011. No email response will be sent for your registration. In this session, we will start with some PowerShell basics in SharePoint 2010. 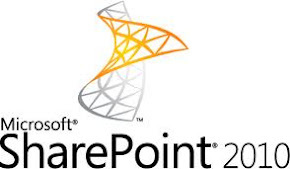 After that we will cover the reasons behind the usage of PowerShell and we will go into the challenges and scenarios when installing SharePoint 2010 using PowerShell scripting. This session you will lean creating custom solution to convert Word documents to PDF using document library list item event receiver to call Word Automation Services to convert Word documents to PDF when they are added to the list. The event receiver checks whether the list item added is a Word document. If so, it creates a conversion job to create a PDF version of the Word document and pushes the conversion job to the Word Automation Services conversion job queue. Free Webinars for Windows Azure which going to cover the benefits, implications of -and best practices for - adopting Windows Azure – Don’t Miss it. The objective of this session is to provide an understanding of why Software as a Service is a compelling business model for today's ISVs and how Windows Azure can be a key enabler for ISVs considering a move to the cloud. The focus of this session will be on the implications for adopting cloud computing as a core pillar of a go to market strategy. This webinar will provide an understanding of what ISVs face relative to change management challenges and implications for their current business models. The objective of this third and final session will be to introduce a decision-making framework - based on real world experience – for rationally adopting Windows Azure as a core element of an application architecture.